Having engaged in serious discussions and deliberations to review and analyze the present Somaliland situation and the objectives noted gaps and achievements as reported by the national Electoral Commission. Expressing gratitude and appreciation for the Somaliland people, the local VR teams and the international supporters as well as the media. Have agreed to abide by the letter and the spirit of this Code of Conduct which was jointly developed by the National Electoral Commission and the three Political Parties and which was signed by representatives of the three parties and the National Electoral Commission. 1. To ensure that the development of the Final Voter List is conducted in the spirit of the law and in the best interest of the country. 2. To address the possible gaps of the Voter Registration as reported by the National Electoral Commission (NEC). 3. To reach a consensus agreement on the procedures to use in concluding the Voter Registration process, culminating in the publishing of the Final Voter List. 4. To ensure consensus endorsement and acceptance of the final outcome of the Final Voter List. 5. To have the Code of Conduct, which establishes the necessary agreements to achieve the above-stated objectives, and is signed in a public ceremony by the senior representatives of the Somaliland political parties (UDUB, KULMIYE & UCID) and co-signed by NEC. 1. Limited technical gaps and errors by the operators and equipment. 2. Non-fingerprinted registrants throughout Somaliland. 3. 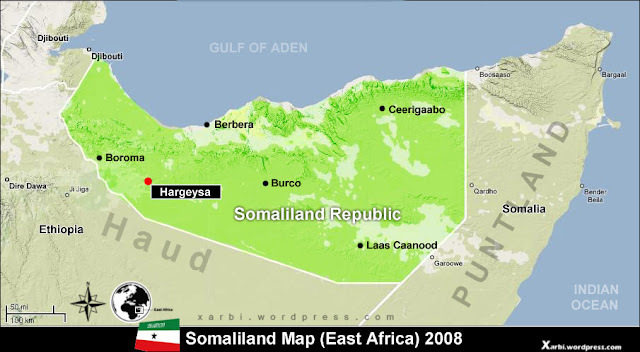 Double and multiple registrants throughout Somaliland. 4. Under-aged registrants throughout Somaliland. The following resolutions shall be applied to the process of developing the Final Voter List, the voter roster for each of the official polling stations. 1. The Technical Committee (also referred to as the Task Force), and as called for in Article 36 of the Voter Registration Law, shall oversee the development and validate the draft Voter List. All recommendations to NEC by the Technical Committee, through their oversight, must be unanimous and forwarded to NEC for consideration. NEC, the Ministry of Internal Affairs and the Political Parties shall ensure that their Committee members are qualified to carry out these responsibilities and per Article 36 of the Voter Registration Law, are appointed by NEC. It is the responsibility of NEC to take into consideration the recommendations of the Technical Committee before publishing the Final Voter List. 3. An Automated Fingerprint Identification System (AFIS) will be utilized to disqualify all double and multiple registrants who have been electronically fingerprinted. 4. A Facial Recognition System will be utilized to further assess for double and multiple registrants. 5. The Server Team shall run the recognition software and establish the parameters for qualifying/disqualifying registrants based on data collected from the recognition software. The Server Team will develop a draft set of these qualification parameters and submit to the Technical Committee for unanimous approval and forwarded to NEC for final authorization. These parameters must be consistent with the Voter Registration Law and its amendment. 6. The approved qualification parameters will be applied to the data of all registrants to identify all qualified and disqualified registrants. From this, the Server Team will produce the draft Final Voter List as well as an annex report identifying all disqualified registrants and the reason for their disqualification (based on the approved parameters for disqualification). 7. The Technical Committee shall unanimously approve the Final Voter List, after which the lists shall be forwarded to NEC for final authorization and publishing. 8. Under age registrants shall be discouraged through a public awareness campaign warning all under-aged registrants from voting. Disqualification of under-age voting shall not be carried out at the polling center on Election Day. 9. Given the large number of double and multiple registrants, it is imperative that NEC take the prescribed legal action against violators of Article 33: Prohibition to have more than one card. Greater awareness must also be brought forth by NEC regarding the criminality of holding more than one card. 1. The signature of the NEC in this code of conduct means that there are gaps and criticism towards the voter registration and that NEC is prepared to address these issues.